On this 7 Day Irish food tour, you’re going to experience every twist and turn of Ireland’s food story. Meet our most innovative producers and chefs. See where the future is taking us, with a focus on terroir, seasonality and sustainability. Warning: This is no ordinary Irish food tour. 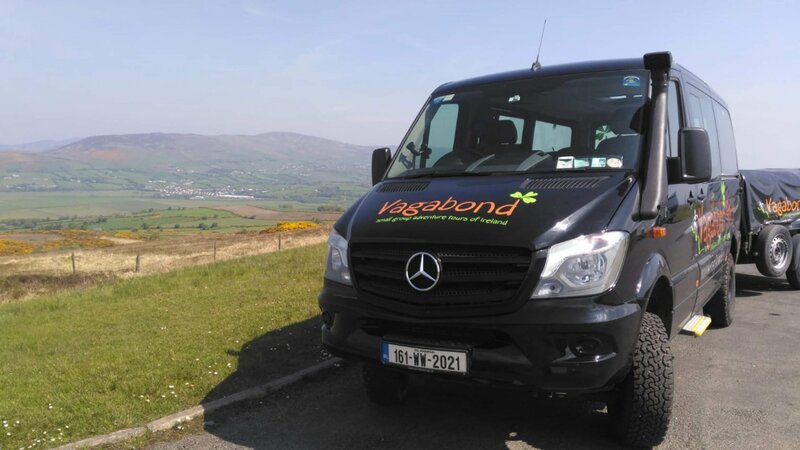 Taste Ireland the Vagabond way, with fast-paced adventure, hiking, kayaking and fun baked in. From meat and spuds to Michelin stars, 19th century famine disaster to 21st century social gastronomy; the story of Irish food is a winding road. On this tour you’re going to experience every twist and turn. Taste the magnificent fresh produce bestowed on Ireland by our mild climate, rich soil and clean oceans. Meet our most innovative producers and chefs. See where the future is taking us, with a focus on terroir, seasonality and sustainability. ⚠️Warning: This is no ordinary food tour. We’re doing things the Vagabond way, with fast-paced adventure and fun baked in, as well as plenty of time to breathe and reflect. Expect wild hikes for coastal picnics in the open air. Foraging by sea kayak on the Atlantic ocean. A high level of fitness is definitely required. As well as an appetite for adventure! Your tour leaves Dublin city centre at 8.10am on the first morning. We would advise arriving at least one night before. You will return between 5-6 pm on the last day. If you are planning to fly out on the same night, we advise booking a flight that departs after 9pm. Learn the secrets of the ocean’s superfood on a seaweed foraging trip by kayak. Meet Ireland’s original female craft brewer at her 100 year old Dingle pub. Nibble on new, foraged flavours like fairy potatoes, aromatic ‘Irish coconut’ and pepper dulse, ‘the truffle of the sea’. Feast like lords and ladies with a night in a characterful Irish castle hotel. Taste Ireland’s original farmhouse cheese on the remoo-te Beara peninsula. Sample Irish wildflower honeys and the nectar of the gods at Ireland’s finest meadery. Experience Clare, Kerry, Cork and Kinsale, the vibrant communities at the heart of Ireland’s food renaissance. Toast your food odyssey with a wild-brewed, off the beaten track Irish coffee!. 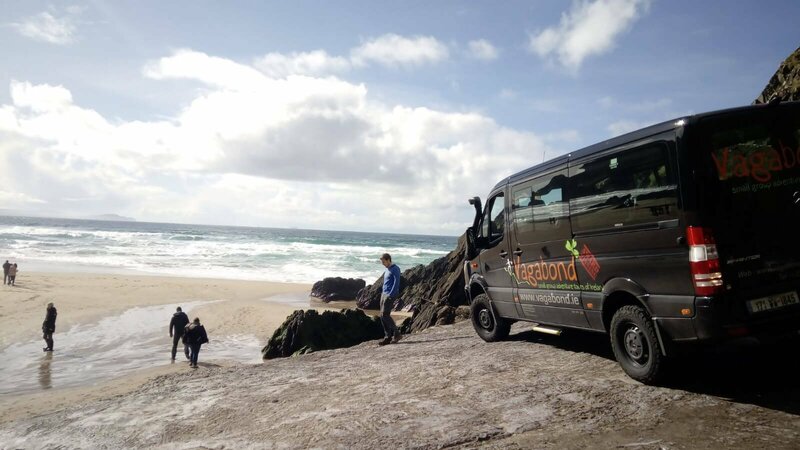 All of our tours are flexible, and your Irish Food Adventure is no different. We’ve included unmissable activities in the price. Where there are great options, we’ve left the final decision up to you. Feel free to choose your evening meals and some lunches. All additional tour options are marked clearly below. Your guide will discuss optional activities with you throughout your tour and plan accordingly. I wish there was a more superlative word to use than "wow" but that word well describes my experience. From the sites visited to the accommodations to the comfort of the van to the consideration and knowledge of the guide, this company nailed it... There were 15 people in our group and every one of them was delightful. By the end of the trip, we all loved each other. Would I recommend this company...? You betcha! Estimated US$ guide price: $2,324 (based on US$1 = €0.86).